Man Behind Voter Fraud Claims: We Can Totally Prove It, We Just Need A Little More Time [VIDEO] - Joe.My.God. 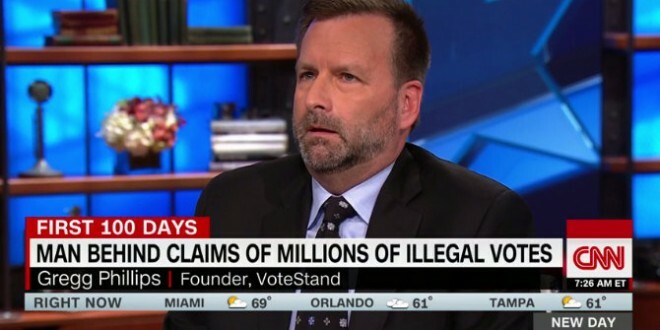 This morning Vote Stand founder Greg Phillips, the man apparently behind Trump’s belief in rampant voter fraud, appeared on CNN to tell host Chris Cuomo that he totally has the proof, but he just needs a little more time to develop his data. As you’ll see, Cuomo wasn’t having it, telling Phillips, “How do you know you’re right? Shouldn’t you have waited until you have the proof?” Trump himself was obviously watching the interview as he tweeted about Phillips moments after it ended.